This basket is one of Afroarts' bestsellers! Useful for a smaller amount of laundry, toys, slippers or as a very nice waste basket. 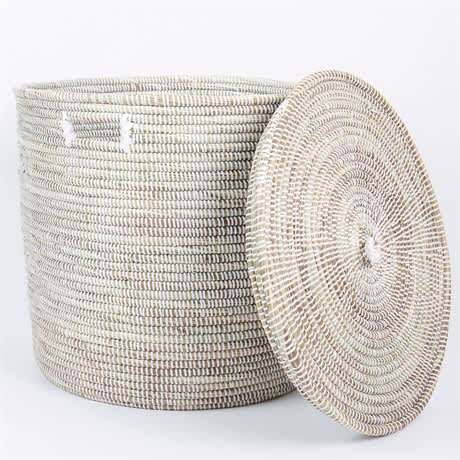 These beautifully shaped baskets are handmade by women in rural Senegal. Natural material is woven with thin colored plastic strips.